This post originally appeared on The Conversation and is republished here with permission. Reading to children is beneficial in many ways. 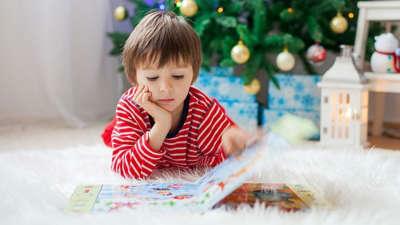 Books offer a unique opportunity for children to become familiar with new vocabularies; the type of words not often used in day-to-day conversation. Books also provide a context for developing knowledge of abstract ideas for children. 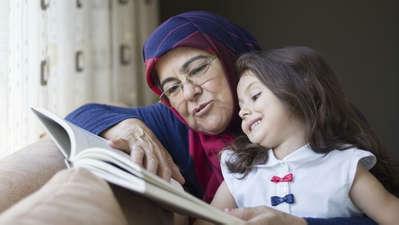 When an adult reads a book to a child, they often label pictures, talk about activities in the book, solve problems together and teach them new words and concepts. Reading to very young children can have long-lasting benefits for their later school success, not only in literacy but also in mathematics. Adding to this, early shared reading particularly helps children from disadvantaged families defy limitations associated with their socio-economic status. So, if there is only one thing you have time to do with your children, it should be reading to and with them. Parents have long been encouraged to read more to their children. There have been many initiatives, challenges, and programs aiming to increase individual reading time and shared reading time between parents and children. These include the Australian Reading Hour Campaign, the Premier’s Reading Challenge, Let’s Read, and others. 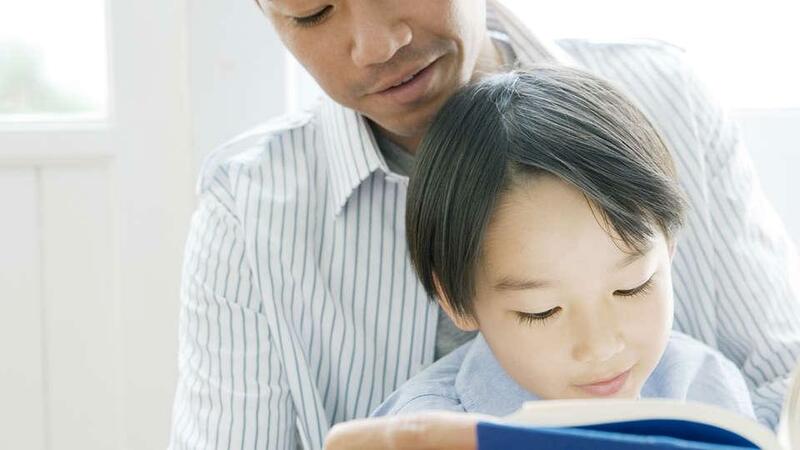 What’s still not clear is which specific skills improve while parents read to their children, and whether the benefit of shared reading is due to other things parents do that help their children thrive at school and beyond. That is: is it really book reading that’s beneficial or is it because parents who read more to their children also provide a lot of other resources, and engage in a range of other activities with their children? This was what we looked at in our study. We used data from a large scale nationwide study called the Longitudinal Study of Australian Children(LSAC). It has followed the development of 10,000 children and their families since 2004. The sample we studied consists of 4,768 children from the cohort that was zero to one year old when the study commenced. 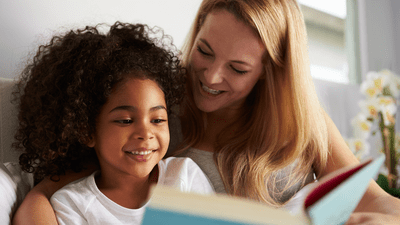 During face-to-face interviews with trained LSAC interviewers, parents reported the frequency of them reading to their children at the age of two every week. The LSAC then followed these children until they were four and eight years old. The good news is the majority of parents reported reading to their children at least three days a week. 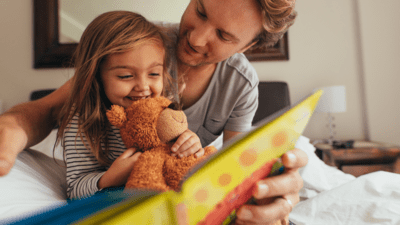 Specifically, 61.6% of the parents reported reading to their children every day and 21.1% of the parents read to their children between three to five days a week. Our study showed the benefits of shared reading with children during early childhood at two to three years old is long-lasting. 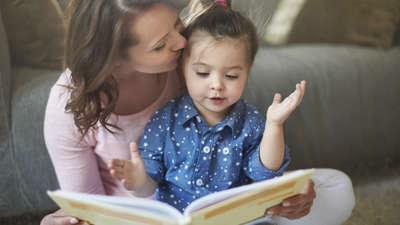 The more frequently parents read to their children when they were two years old, the more likely their children had better knowledge of spoken words and early academic skills such as recognising and copying geometric shapes, and writing letters, words and numbers, two years later when children were four to five years old. What’s more, frequent early shared reading was linked to better performance in NAPLAN reading, writing, spelling and grammar. More surprisingly it was also linked to mathematics even six years later when children were eight to nine years old in year three. The most encouraging finding is that children from disadvantaged families benefited more from shared book reading. 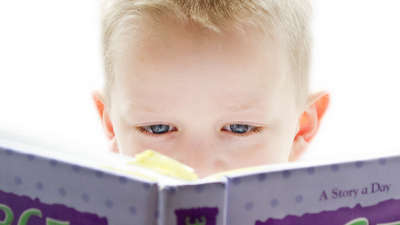 This suggests increasing the frequency of book reading is a viable way for disadvantaged families to support their children’s vocabulary knowledge and general academic achievement. To address whether the benefits of shared reading are a product of other factors associated with parents and families, we controlled for the effect of a range of potential confounding factors. These include indicators of children’s intelligence, the number of children’s books at home, and home activities that parents engage with children other than reading. 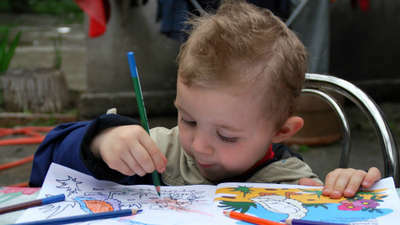 These would include drawing pictures or doing art activities with children, playing music together, playing with toys or games, and exercising together. Even though we controlled for these other factors, the long-term importance of early shared reading still holds. Read more to your children and with your children. Whenever you get a chance, even if it’s only ten minutes, engage in shared reading activities. We also suggest parents make a reading session interactive. For example, parents are encouraged to ask children questions, such as if they know the vocabulary and ask them to guess the story and what the story characters will do. Try to make the reading a learning session. Finally, not all books are created equal. Parents are encouraged to choose the most suitable books for their child’s age to reap the most benefits of early shared reading. Ah, grandparents! What would we do without them?! Just in time for Book Week 2018, Jaquelyn Muller shares her ideas for keeping little ones glued to the page instead of the screen. Children’s book author Jaquelyn Muller explains ‘art extension’ and what you need in your art kit to do it all at home. Something to keep in mind when considering if your kid is ready for "big school". Storytime shouldn't stop being an important part of our child's day as they get older, and this research shows why. Check out the latest kids books that break the mould and celebrate families of all kinds. Keep the festive cheer going in your quiet reading moments too!